March 3 – April 7 Thursday, 6:30 to 9:00 pm – Register NOW! All necessary equipment, management, and hive manipulations to install and maintain a bee hive from late spring through mid-summer. Course recommended for beginner and intermediate beekeepers. 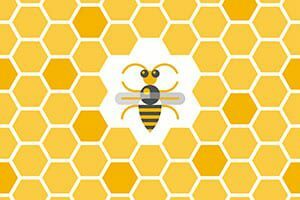 Course details summer management practices for the hive. Topics include swarming, identification and interdiction of honey bee predators and diseases. This is a hands-on course as we meet at various apiaries to practice opening and inspecting hives. Students must have bee-veils to participate. Necessary fall hive inspections and evaluation, feeding, re-queening, preparing the hive for winter, winter feeding. Also included; how to extract and process honey and bees wax.